If you're looking to add some additional storage and extra table top space to your home, this 4 drawer console table is the ideal solution. 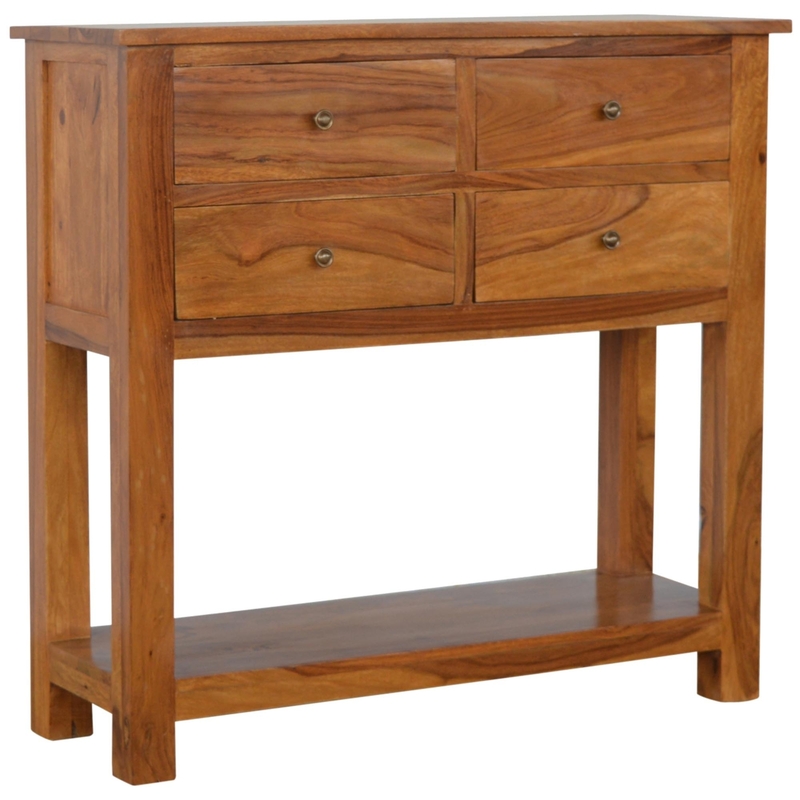 Perfect if you need something that will fit in a small space, this handmade console table features a 4 drawer design with an under shelf for even more additional space. Made from 100% sheesham wood, this console table has been built to last and will effortlessly complete the look you desire in your home.